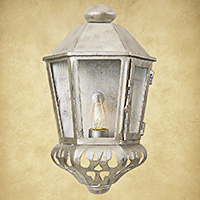 of wall sconces specifies certain restrictions for all walkways, corridors and halls. between 27" and 80" high must not project more than 4" into the walkway. 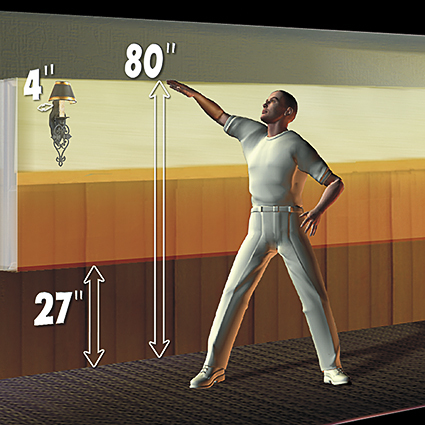 Most wall sconces used for corridors and halls need to be mounted within this “ADA zone,” and therefore cannot exceed 4" total depth. 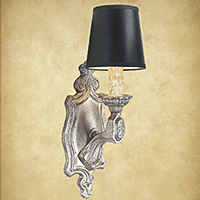 decorative sconces that you can use for these areas.